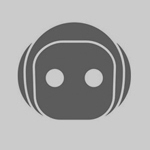 Arena - new text-based RPG game bot in Telegram Messenger. Create your own character and fight with other players in the Arena, get experience, increase your level, get fame and earn gold. Different items available in the Merchant's Shop.